Finance minister Pranab Mukherjee has proposed new tax slabs for the so called ‘aam aadmi’ in the Union Budget 2010. The tax slabs have been revised upwards for various income groups and thus providing windfall gains to middle and upper class people. The tax slabs in India are set in the ascending order of net income levels in bid to promote equality among various income group people. Like, for instance, there is no tax payable for people whose income is less than Rs.1, 60,000. However as your income crosses this stipulated level, the person is taxable at the rate of 10% up to certain level and even higher as levels step up. Such measures of tax slabs are usually proposed to instill a sense of equality where poor contributes less towards the taxation and nation’s developmental and social sector needs, while the richer pays more from their higher income. However, with the new tax proposals for various income slabs as announced by finance minister on Friday, it can be said that this motto of instilling equality does not meet all the demands of this criteria at its fullest, while we unravel as to how the tax proposal is more in favor of richer people and ineffective for the lower middle class people. No tax limit up to income of Rs.1.6 lakh. For income between 1.6 lakh to 5 lakh, the tax liability will be 10%. For income between 5 lakh to 8 lakh, the tax liability will be 20%. Individuals with income of above 8 lakh will have tax liability of 30%. The limit of no tax liability during the old regime was Rs.1.6 lakh which remains the same this time around. In effect, the tax slab for the lower to lower-middle class population remains unchanged and brings no incremental benefits. The population which comes under the income group of around Rs.1.6 lakh forms the bottom broad base of the pyramid which enjoys no specific tax slab adjustment this time around. 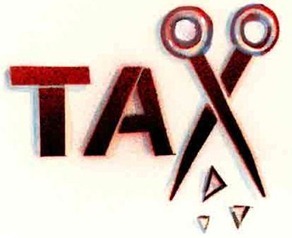 The second tax slab proposal which is Rs.1.6 lakh to Rs.5 lakh, attracting 10% tax liability on the net income, has witnessed an increment at its upper band from Rs.3 lakh in previous year to Rs.5 lakh for the upcoming financial year. In effect, the policy change will benefit only the selected section of the population whose income is more that Rs.3 lakh. For those whose income is more than Rs.1.6 lakh and below Rs.3 lakh, the net effect is same as previous year- no incremental savings. Coming to third tax slab proposal which is Rs.5 lakh to Rs.8 lakh, attracting 20% tax liability on the net income, has witnessed an increment at both its lower and upper band. As per the old regime, the population with income above Rs.5 lakh and below Rs.8 lakh attracted a higher tax liability of 30%. These income group people will now save tax as they have to pay lesser tax at the rate of 20% in line with adherence to the new tax slab proposals. Coming to the last category of highest tax slab proposal, which stands at 30% tax liability for the people with income group of more than Rs.8 lakh. As per the old regime, the tax slab for the income groups eligible for the highest taxable income stood at Rs.5 lakh and above. This income group has had the slab shifted higher by Rs.3 lakh this time around, thus benefiting from the lower tax slab applicable for their income up to Rs.5 lakh. The above table clearly shows the standing of the tax liabilities for various income group levels. It can be clearly seen from above that the people from income group in Rs.1.6 lakh to Rs.3 lakh have recorded no incremental tax benefits for the slab of the income groups to which they belong. A majority population ranging from lower to middle-lower income group find themselves in this unchanged tax slab. However, as the incomes limit goes up where the net taxable income falls above Rs. 3 lakh, the benefits of the new tax slab regime trickle in as they tend to make savings from lower slabs proposed in this Budget. Further, as the income of the tax payer rises to above Rs. 5 lakh range, the tax payer records the maximum saving on tax liability from next year based on the new income tax regime. Thus, what seem as a preliminary ‘aam aadmi’ oriented direct tax proposals by the finance minister is ultimately benefiting only the upper middle class and people from higher income group. The lower and lower-middle class public is left in lurch with no incremental tax benefit based on their income group. To sum it up, if your taxable income is more than Rs.25000 per month you tend to get nominal benefits from new tax regime. The higher your move on the path of income, more incremental benefits gets accrued. But, if your taxable income per month is lower than Rs.25000, you tend to be a beneficiary of no incremental tax benefits as compared to previous year. Though, to expect the least, one can assume that with greater savings to the middle and upper class people, the tax liability and disclosure would be more transparent than ever before. The higher tax slabs would give impetus to the public to disclose more legal income rather than accumulating it as ‘black money’. However, by this new tax slab proposals, the motto of abolishing ‘inequality’ in to the system may not have been met by the incremental additions directed only at particular lower income group people. But the budget proposal does serve the purpose of higher-middle and upper income group people by way of savings on tax liability and higher transparency and urge to disclose appropriate tax liability based on incremental savings from next financial year. Do you feel FM has done injustice to lower income group people by keeping the tax slabs unchanged as applicable to them? I possess exceptional written communication and creative skills both in English and Hindi languages. Also, I am extremely good at coining slogans and phrases. From your notification, it is not clear as to what kind of help/service is required by you. Kindly contact me if you feel I could be of any help to you. I totally agree with you, the new tax slabs will not benefit the lower income groups or even the middle class group because if you see the some of the tax benefits already available such as the HRA, Sec 80C(NSC, EPF, PPF, ELSS, NSC, LIC or other insurers premia,etc.) 80D(health insurance premia), Section 24(b)(Interest for home loans upto Rs 150,000),medical allowances, LTA, Conveyance, plus the 20K for new infra bonds from next Financial Year, many of these are already being used by the salaried class. If you take into account all the above tax benefits then to reach a taxable (not gross) salary of > Rs. 8, 000, 00 ( as > 8 lakhs come under the highest tax bracket of 30% now) a person would have to have a gross salary of more than 11-12 lakhs per annum. I agree that with the growth of economy many more people are earning such salaries but then such salaries can hardly be termed as “low income” or even “middle class”. I think the major relief for the lesser income group will come as part of the new Direct Tax Code, which might come into effect from April 2011 where the base will be upped. But that is a different story altogether as many tax benefits may go as well. Good informative comment. As you’ve rightly pointed out the major benefits for lower income group people can be expected in the Direct Tax Code which is expected to be applicable from F.Y.2011-12. Thanks for the comment.